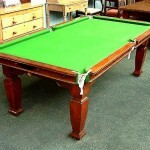 Antique Snooker Tables | Browns Antiques Billiards and Interiors. 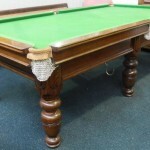 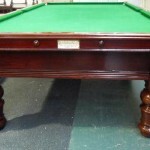 Welcome to our antique snooker tables page. 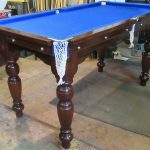 We specialise in antique snooker tables in sizes ranging from 6ft up to full size, and antique snooker dining tables in sizes 5ft to 9ft. 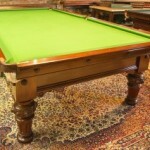 We do not stock any modern snooker tables, and all restoration is traditionally carried out by hand. 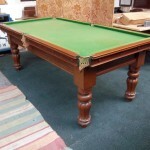 All antique snooker tables come with a free starter kit of cues, balls, chalk,triangle, rules and small scoreboard. 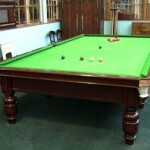 TO VIEW ALL SNOOKER/BILLIARDS PRODUCTS PLEASE SEE DROP DOWN MENU UNDER STOCK.